GJP Floor Sanding London has been serving the UK for over 10 years. We are a independent company that puts an emphasis on delivering high quality work while creating a friendly and professional experience for our customers. We provide a highly professional floor sanding and restoration service for all wood floor types, including parquet floors, hardwood floors and pine floorboards. 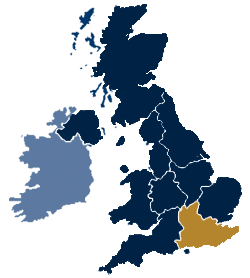 You can take advantage of our services throughout the London area including Westminster, Chelsea, Greenwich, Richmond and all surrounding communities. GJP Floor Sanding London were called upon for their floor repair and restoration expertise for this Kingston property. Upon completion our floor sanding experts were able to give this home the make over it so desperately needed with stunning results. GJP Floor Sanding was contracted to carry out restoration of the floor at a prestigous Soho Address. The property was already being renovated and the contracted building firm recommended GJP Floor Sanding to complete the work. GJP Floor Sanding London took on the task of restoring the floor in this beautiful Chelsea property. Our team replaced damaged blocks in the parquet arrangement with perfect matching replacements before crafting a light reflecting finish that has substantially improved the character of the room. Which? is an organization that helps consumers find products and services they can trust to deliver best value for money and excellent service. You may be familiar with the Which? Best Buy endorsement, which identifies top-quality products for consumers. In the same vein, the Which? Trusted Trader endorsement highlights small businesses that are best positioned and committed to satisfying their customers’ needs. The assessment is carried out by industry professionals with more than 5 decades of experience, who are committed to ensuring consumer satisfaction and protection. It is, therefore, an honour for us to be a Which? Trusted Trader. The assessment process to become a Which? Trusted Trader is so strict only businesses with outstanding financial, administrative, business, moral, and reputational standing make the cut. The assessment process involves credit checks, reference checks, business practice assessments, and other factors that indicate that the business is well-positioned to deliver excellent service consistently. Which? 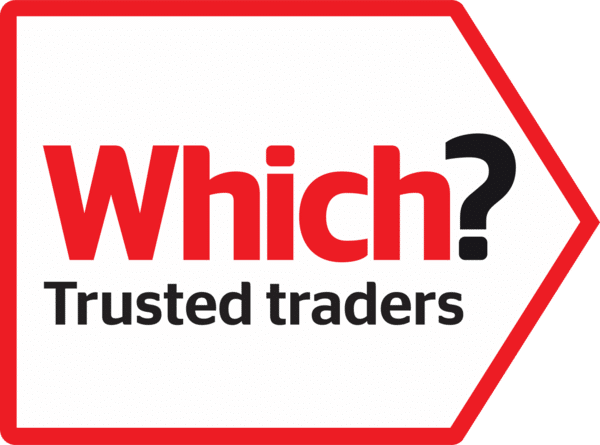 Trusted Traders are a standards organisation that has been vetting products and services for quality for over 50 years, and has now begun to do the same for traders and vendors. Like the Which? Best Buy recognition for products, the Which? Trusted Trader icon, for any service vendor, signifies the hallmark of quality. With GJP Floor Sanding London, you can rest easy knowing that you are dealing with a business that has passed through the highest industry quality assessment tests. To remain a Which? Trusted Trader, a business must continually prove it is able and willing to provide top quality service to consumers. Every year, endorsed businesses are reassessed to ensure they continue to meet the Which? Trusted Trader high standards of service. 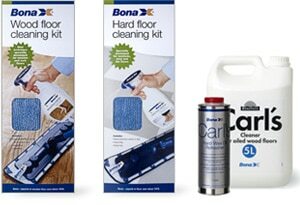 GJP Floor Sanding London is proud to be, and remain an endorsed Which? Trusted Trader. The Which? Trusted Trader Code of Conduct stipulates that a business must be honest, transparent, responsible, professional and customer-focused, among other things. Every business that successfully passes through the assessment process must sign this Code of Conduct agreement. For us, the agreement serves to reinforce our fundamental business ethics and philosophy. As a proud, certified Which? Trusted Trader, we guarantee that every service we deliver will be carried out in a professional manner. Our team is made up of highly trained and experienced professionals who treat clients and their property with utmost respect. We will go to any length to ensure that our customers are satisfied with every job. This is our ultimate guarantee. We promise that every job we do for you will be priced fairly and honestly. There will be no hidden costs. There will be no added costs sprung up on you after service either, unless clearly stated in the service agreement. Our pricing is transparent and you get to know what exactly you are paying for, including taxes, materials costs, etc. GJP Floor Sanding London invoices are prompt and detailed. If you are charged for VAT, we will let you know. If there were extra costs incurred during the job, you will be made aware in detail. We will also let you know our expectations on payment, including payment period and structure. Generally, we allow a 30-day grace period. Our business practices and ethics, as well as the Which? Trusted Trader Code of Conduct, ensures that we are able to exceed the expectations of our customers. Where there are complaints, we take quick and decisive measures to ensure they are resolved to your satisfaction. These complaints are resolved within 28 days, and the terms of resolution are effected within 8 weeks. Every job we execute for you comes with a warranty, and we promise that the terms will always be made clear to you. We will never shy away from effecting the privileges covered in the warranty as long as the conditions are met. 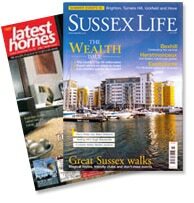 We don’t work as hard as we do and strive to deliver the best results just to get recognised but it sure is nice when prominent UK magazines such as Latest Homes and Sussex Life recognise our dedication to, and passion for, the community. GJP Floor Sanding London services a large number of communities in the London area, so if you are looking for someone to bring your old floor back to life then why not give us a call. We have an excellent reputation when it comes to providing superior customer service and high quality craftsmanship. If you are not too sure what you need done to your floor, why not give one of our friendly and incredibly helpful customer service reps a call. They will answer your questions and get you set up for a free quotation. Trust your floor restoration project with the best floor sanding company in London, GJP Floor Sanding. With over 30 years of combined experience, our team of wood floor sanding professionals is committed to delivering the highest quality craftsmanship and friendly customer service possible. We have an attention for detail and always treat your home as if it were our own. This means we will never cut corners and always do our best to make your floor look beautiful again. Over the years, we have developed a large portfolio consisting of thousands of successful floor restoration and refinishing jobs. With each one of these jobs comes a happy customer who was ecstatic they chose GJP Floor Sanding London for their home renovations. Give us a call and let us prove to you first hand that restoring your old floor does not have to be a painful and stressful experience. GJP Floor Sanding are a London floor sanding and restoration company that offers a premium finishes at great value. We take on jobs involving all kinds of wooden floors, from parquet to pine and everything in between. Get in touch with us today to find out how we can bring back your floor's former glory. Copyright 2015 GJP Floor Sanding | 27 Old Gloucester Street, London, WC1N 3AX | Please note, this is virtual office. We can arrange to meet clients at this address by prior appointment.